Back in the eighties, the Götz company was offering universal plastic tanks, named fusion. 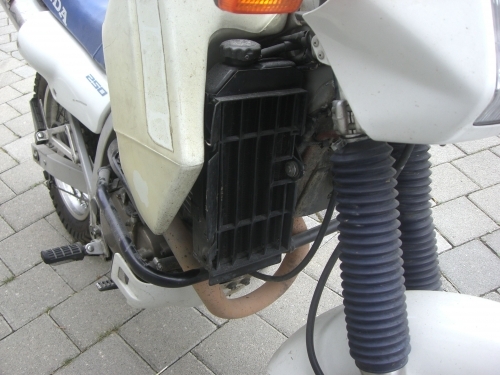 It was said to hold 18l - just twice as much as the NX250 – but I never managed to get more than 16l out of it. 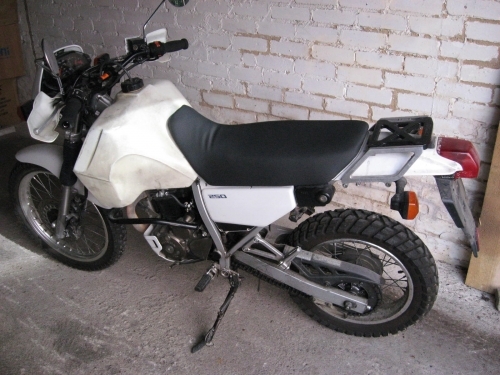 I had one on my XT350 – but can’t find pics in my archive at the moment. 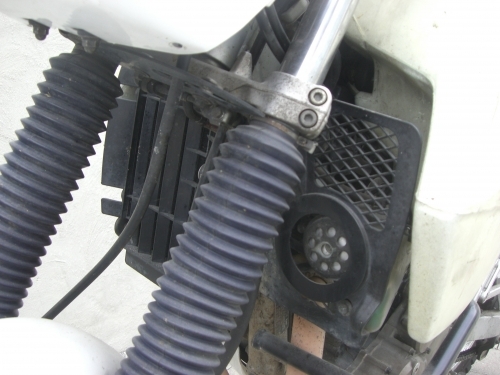 Those tanks were originally designed for the Yamaha DT80LCII, that’s why they require more or less heavy modification when used for other bikes. 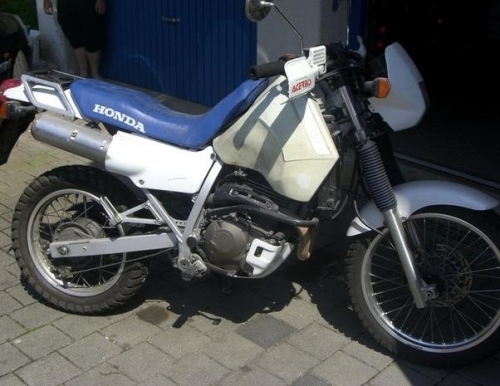 When the NX250/650 were released in 1988 Götz also offered fusion tanks for our Hondas. 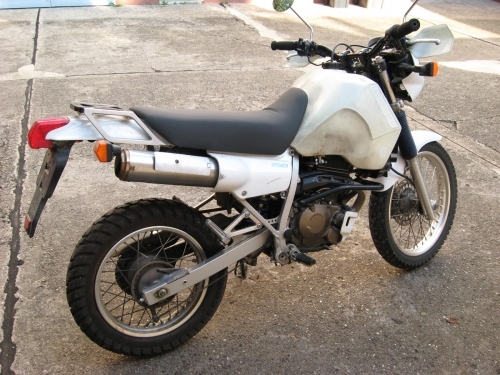 The fusion tanks were often mistaken as acerbis tanks http://www.ebay.de/itm/Acerbis-Tank-Ben ... XQE9hSCKMr, and actually the KLR600 acerbis tanks http://lh4.ggpht.com/-IHOlp_4uTls/Uik9h ... imgmax=800 look very simular but won't fit our NX250. Hatte nicht jemand vor ein paar Wochen eine neue Fusion mit Halterung zum verkaufen? 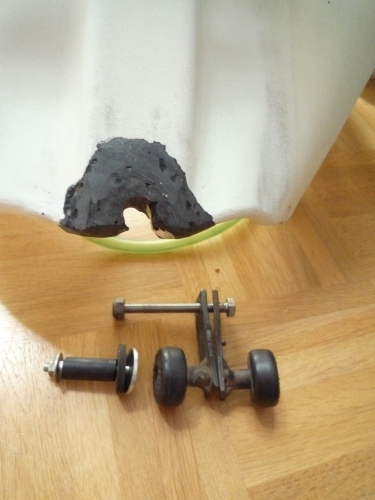 Ich darte es war Joe und Donnerboxer hatte es gekauft, kann aber nichts mehr finden. Ich brauche Bilder von die Halterung; ich habe meine Fusion and jemand in die US geschickt und der fragt jetzt ob jemand Bilder hat? Zuletzt geändert von boomerang am Mo Nov 20, 2017 9:17 pm, insgesamt 1-mal geändert. Thanks MIchael, I didn't even notice I wandered into the international subforum while looking for pics. Anyway; I'll forward the link to this page for refence.